Get out with your buddies this year in the Alpha Industries Fusion Field Jacket for Men. 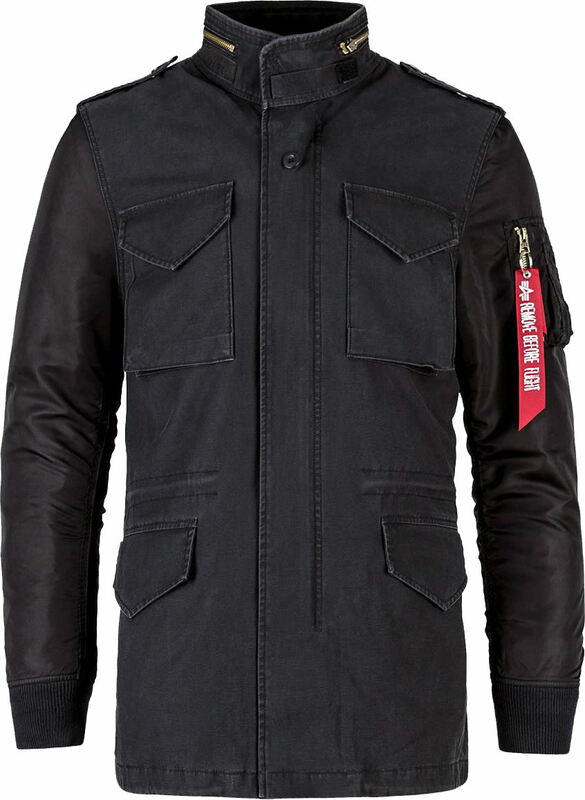 Alpha Industries combined their two most popular military jackets and created this hybrid of the two. 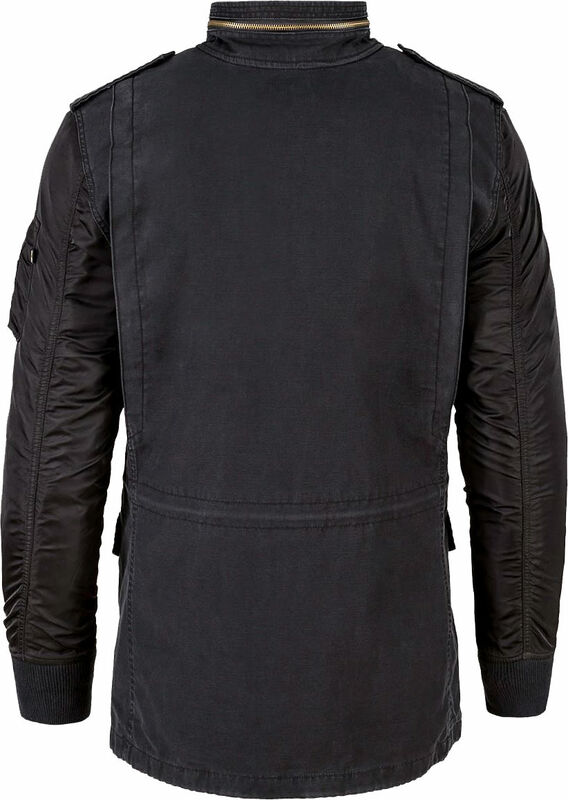 The Fusion Field is made of the body of a field jacket while the sleeves feature the classic bomber style. 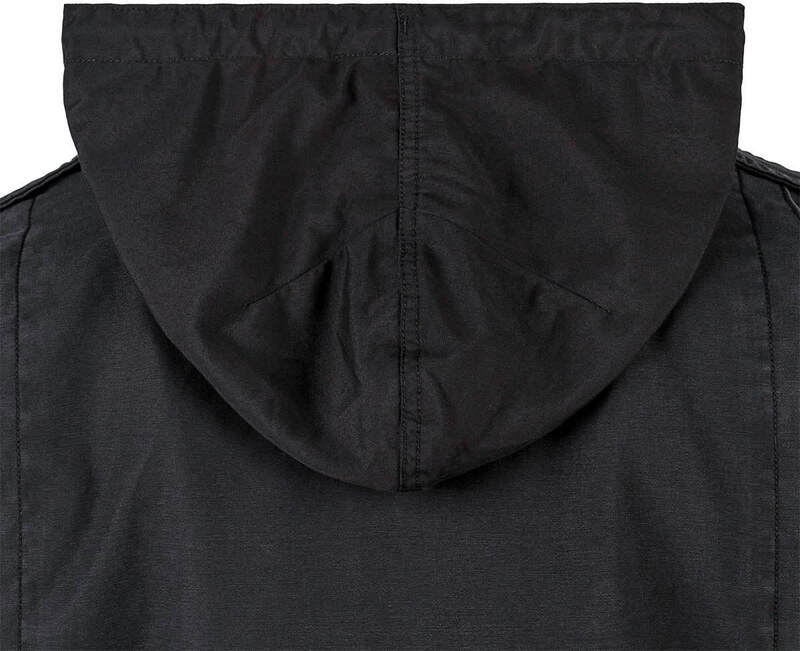 Featuring a hidden hood in the collar that has drawstrings in the seam, as well as the waist and hem. Featuring the signature MA-1 utility/pencil sleeve pocket as well as the signature red "Remove Before Flight" flag you will be living life in style. Buttoned epaulettes on the shoulder give an extra little steeze to this coat. 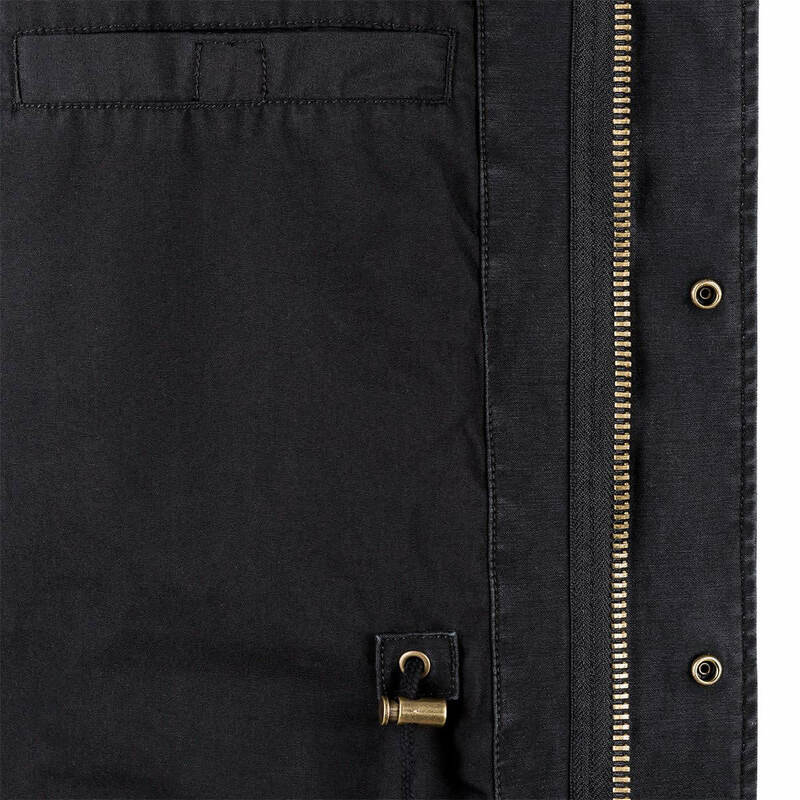 Four exterior body pockets and two interior welt pockets hold all your necessities and then some. 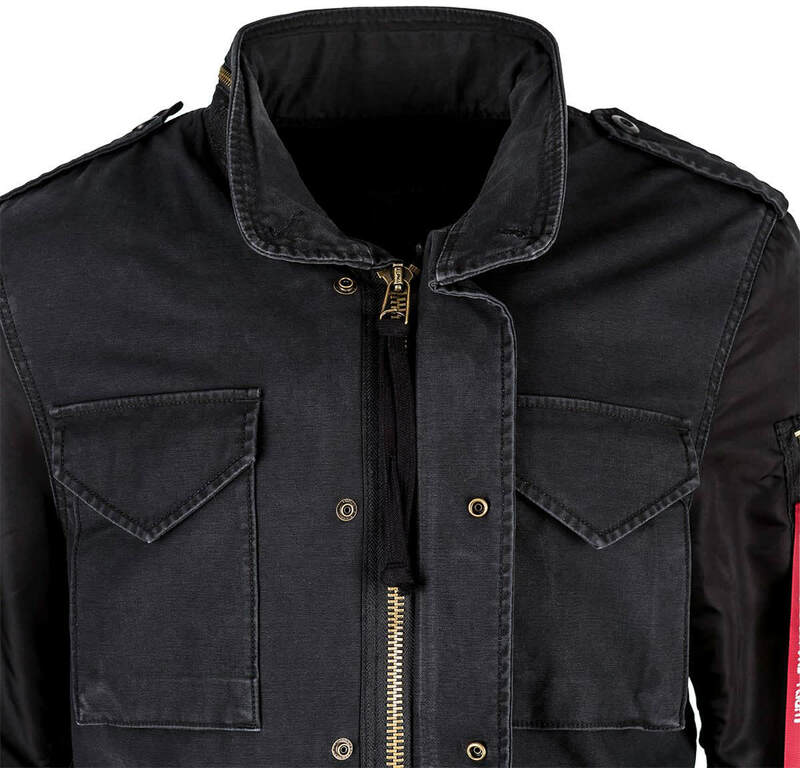 This jacket has a longer thigh length cut with a standard fit which adds additional design to your wardrobe. 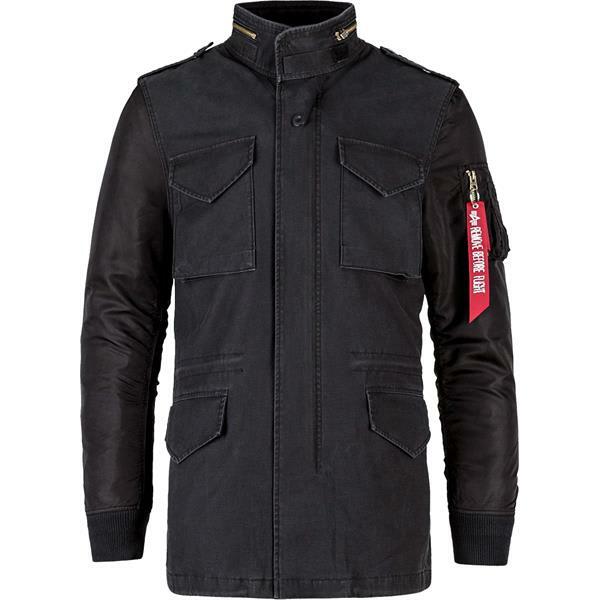 Get outdoors in style and comfort wearing the Alpha Industries Fusion Field Jacket for Men. Is it a bit waterproof? BEST ANSWER: It's safe to say it isn't water proof as the description says nothing of DWR treatment and it is also 100 percent cotton.